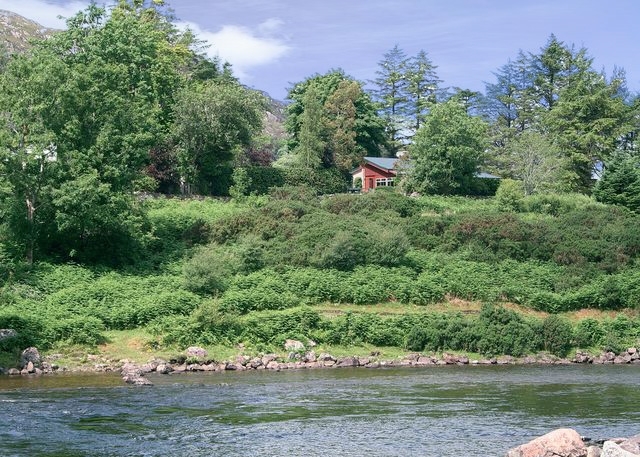 Beautifully positioned amidst spectacular mountain and coastal scenery, this detached, timber clad cottage enjoys lovely views towards the River Ewe. The stunning and unique interior, all on one level, has been beautifully designed and features an open plan living area with vaulted ceiling, glazed brickwork and a central fireplace. 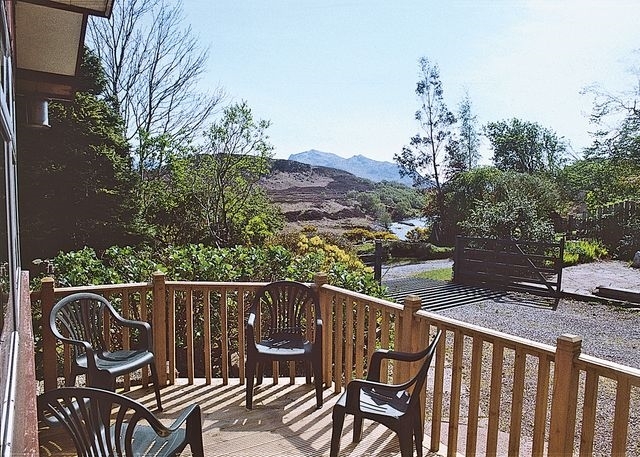 The cottage is in the pretty little village of Poolewe within 0.5 miles of the shop, coffee house, hotels, swimming pool, and the famous Inverewe Gardens. The close proximity to the Gulf Stream produces sub-tropical temperatures and a mild climate for the area. Outdoor activities include coastal and hill walking, climbing, angling and sailing with golf, shopping and leisure facilities in Gairloch 5 miles away. 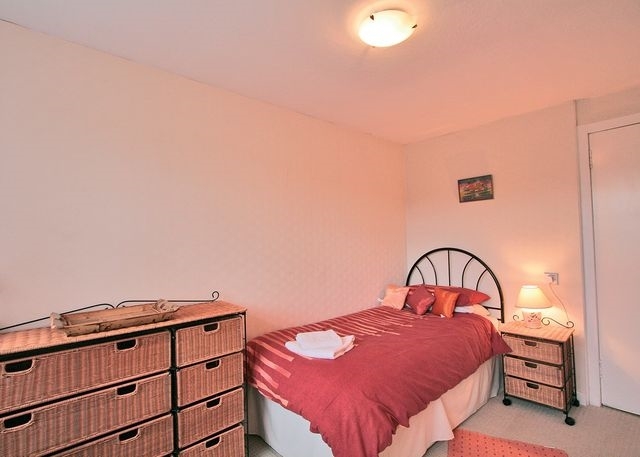 The accommodation offers THREE bedrooms: 1 double, 1 twin and 1 single. Bathroom: with separate shower. 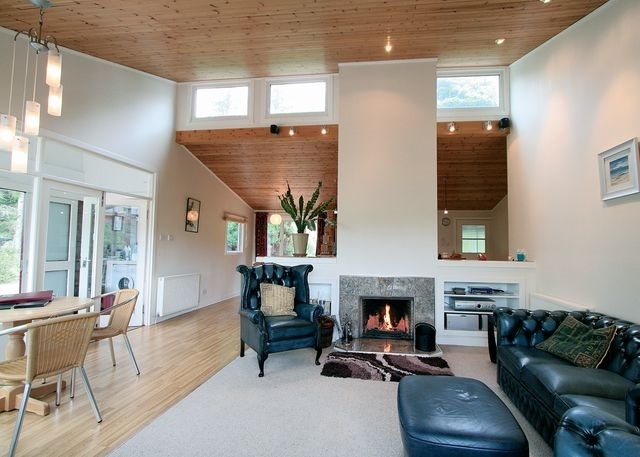 Lounge/kitchen/diner: open-plan living area with open fire, TV, DVD, freesat, hi-fi and telephone. 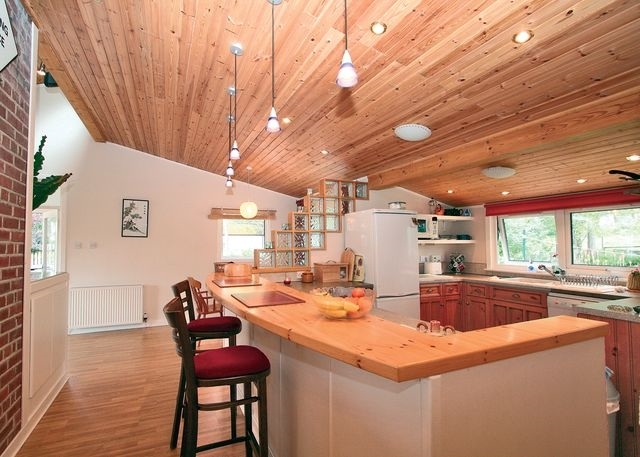 Kitchen area with electric cooker, fridge/freezer, microwave, dishwasher, washing machine and tumble dryer. Sun porch overlooking the River Ewe. Outside: enclosed garden by the roadside with decked patio, garden furniture and a BBQ to enjoy outdoor living in very picturesque surroundings. Amenities: parking available. Wi-Fi, Bed linen, electric, oil and initial supply of solid fuel included (additional fuel can be purchased locally). 2 dogs welcome. Additional info: short breaks are available Mon-Fri only. 20% discount for parties of 2 for a 7 night stay off peak only. Location: shop 0.5 miles. Arrival: 4pm.